Many of you might not have seen this dripper before. If you have dropped by our shop recently & ordered a daily brew, it is likely that you might have seen this dripper in action. We first came across this interesting brewing device at the International Café Show in Seoul last year. At the Kalita booth, we watched a demo of the Kalita wave dripper. The design of the wave dripper and filter was intriguing. The key feature is the flat bottom coffee bed design. The coffee geeks might have come across Scott Rao’s book “Everything but Espresso” which discusses the “weaknesses” of some cone-shaped brewing devices. We did some research to find out more about the product and the theory behind this flat bottom design. From our research and communication with the peeps from Kalita, we understand that the wave dripper and filters were designed to promote even extraction, better thermal stability and consistency. 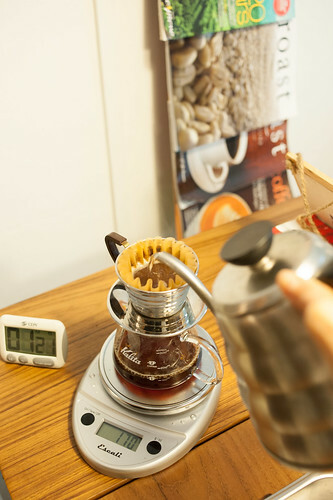 While there seems to be a lot of good stuff written on the Kalita wave series, we had to rely on our own experiments and taste-tests before we are convinced with this brewing device. 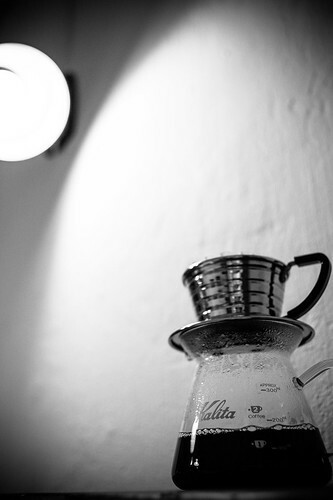 When we received a box full of the Kalita toys a few months back, it was like opening Christmas presents. We started playing around with the dripper and filters everyday. After many cups of brew and tasting, we came to a common finding – CLARITY. The flavour clarity is what struck us when we tasted each brew. The flavours tend to stand out distinctly and such clarity really brings more focus on the flavours, while one enjoys the cup. As for those who have used the other brewing devices with a cone-shape and a big hole at the bottom will know how challenging it is be to replicate the same cup flavours with each pour. Controlling the pour is probably one of my biggest “nemesis” to consistently produce a cup with same/very similar taste and the Kalita wave dripper appears to solve this problem. It is much more “forgiving” in achieving the same cup profile as it is less sensitive to how one pours. You can get really close to the coffee bed, creating little turbulence when you pour. We also did a taste test on the brown (unbleached) and white (bleached) wave filters to see if there was any obvious paper taste. 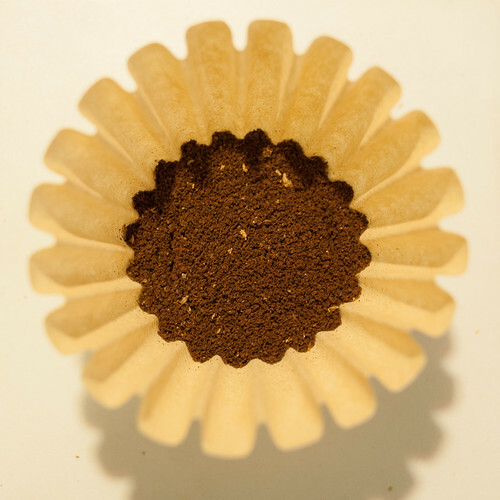 Similar to other filters in the market, the unbleached filters do exhibit a more pronounced paper taste that requires more pre-rinsing with hot water. The white (bleached) ones have almost undetectable paper taste. However, the brown (unbleached) wave filters definitely hold its shape very well in the dripper in comparison with the white (bleached) ones, especially when you attempt to pre-rinse the filters. Those who don’t mind doing more pre-rinsing might go for the brown filters and these might be handy for baking too, as muffin cups! After countless number of brews, we really wanted to share this cool brewing device with fellow coffee brewers. So here we are, the first retailer of the Kalita wave dripper in Singapore. Currently, we are only stocking up on the stainless steel wave dripper. It’s not only beautiful to look at, but it’s lightweight (good for travelling) and brews beautiful coffee. We have both the brown (unbleached) and white (bleached) wave filters for sale so as to cater to customers with different “threshold” for pre-rinsing effort. 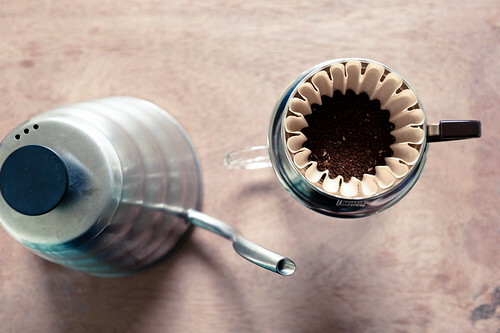 To add to our range of Kalita products, we also have the handy Kantan drip coffee filter. 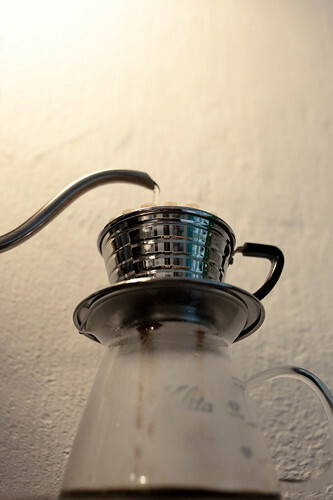 It’s a great single-use dripper, especially when you’re travelling or feeling lazy to do some washing after you brew. 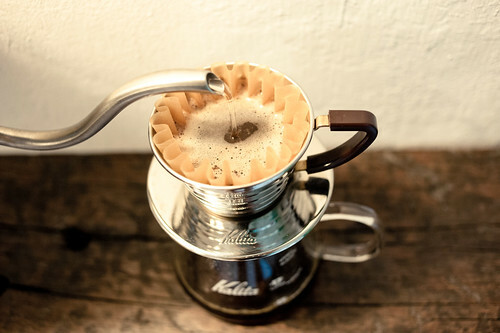 So drop by our little shop, ask for a daily brew and browse the cool range of Kalita products in-store! Here’s a video from Nick Cho of Wrecking Ball Coffee Roasters, demonstrating how easy it is to brew a brilliant cup at the comforts of your home on the Kalita wave dripper.